It’s been said that bodybuilding is both art and science. The creation of symmetrical muscle and the performance facet of posing contribute to the artistic aspect, but what about the science? The fact is, there’s been enough research done on resistance training to call it a science, but there’s a major difference between “bro-science” and “real science” when it comes to putting on quality size, as opposed to a bunch of fat. The scientific term for building muscle is hypertrophy—an increase in the size of the muscle cells (fibers). It’s what many of us are chasing, but building muscle is much harder if we’re not training correctly to maximize muscle growth. As you’ll find, some ways are far better than others. Understanding what current research has shown us about successful muscle-building is the first step to gaining quality size. After all, getting bigger and stronger isn’t just a challenging physical task—it’s one that works your brain, too. So let’s take a closer look at the seven most critical training variables you need to understand that can reignite your muscle-building efforts. Intensity is often misunderstood. Most people think it’s related to effort—how hard you train—but it actually refers to weight. Without question, intensity is one of the most important training variables, because in order to stimulate growth, you have to overload the muscle tissue. The weight is increased over time in a progressive, systematic approach. Because intensity is a measure of weight, it can be expressed as a percentage of your single best lift (or one-rep max, aka 1RM). 1RM is simply the maximum weight you can safely lift for one—and only one—rep using good form. From that, you can determine certain percentages. 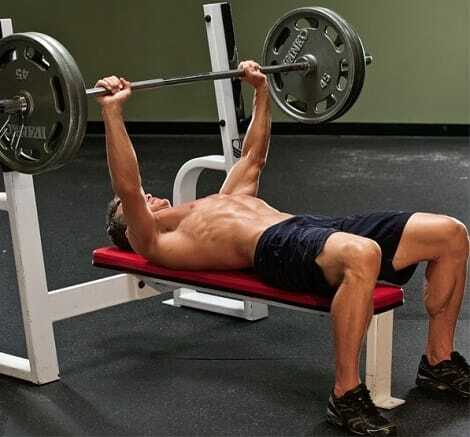 For example, if your 1RM on the bench press is 185 pounds, 70 percent of your 1RM is about 130 pounds. Research tells us that loads less than 65 percent of your 1RM are not considered significant enough to promote hypertrophy. So in this case, other than warm-ups, you shouldn’t be using a weight of less than 120 pounds if you want to gain size.